On until May 16, Las Vegas hosts the Hospitality Design Expo, a showroom event and conference tailored to designers of hotels, restaurants, clubs and spas. 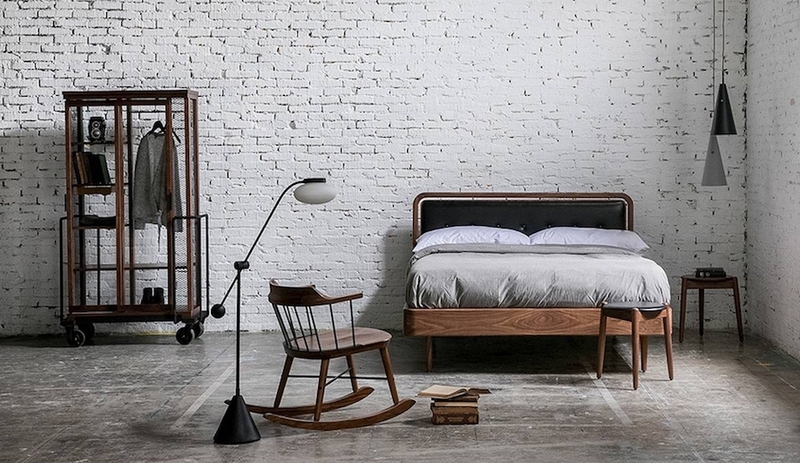 Here, we take a look at some of the contract furniture and textiles hitting Sin City. Wolfgang C.R. 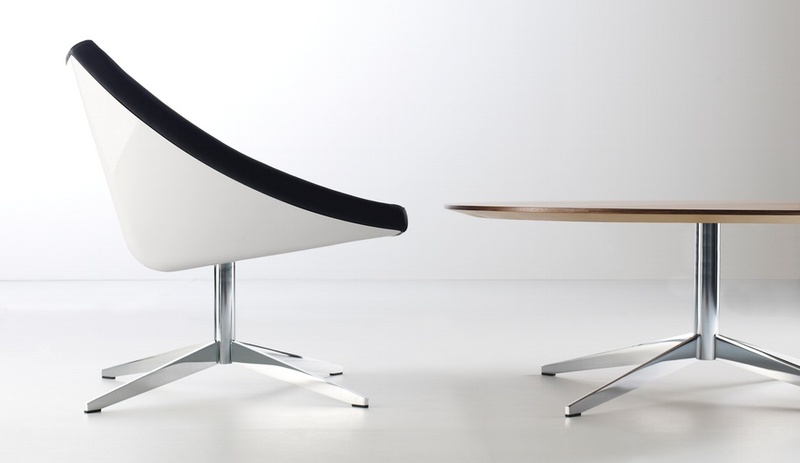 Mezger designed this lounger with a combination of hard lines and gentle curves. The rigid shell forms a perfect square when viewed from the front, and is fitted with a two-piece moulded foam interior, upholstered in leather or fabric. 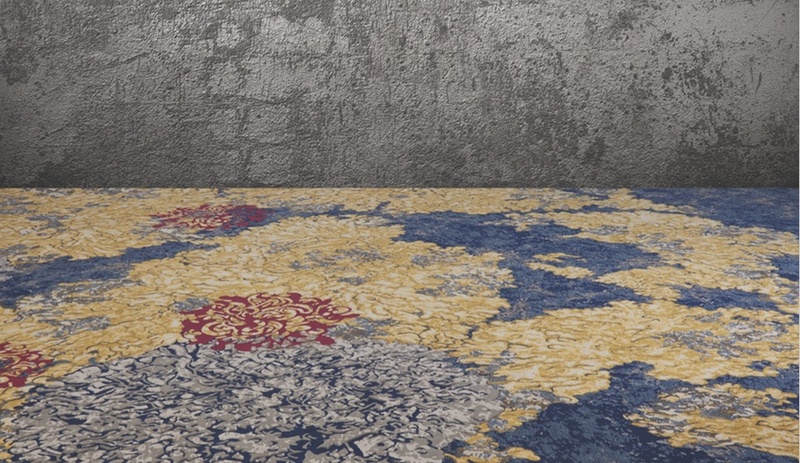 This broadloom collection is a collaboration between 1956 by Tai Ping and British street artist Moose (aka Paul Curtis). 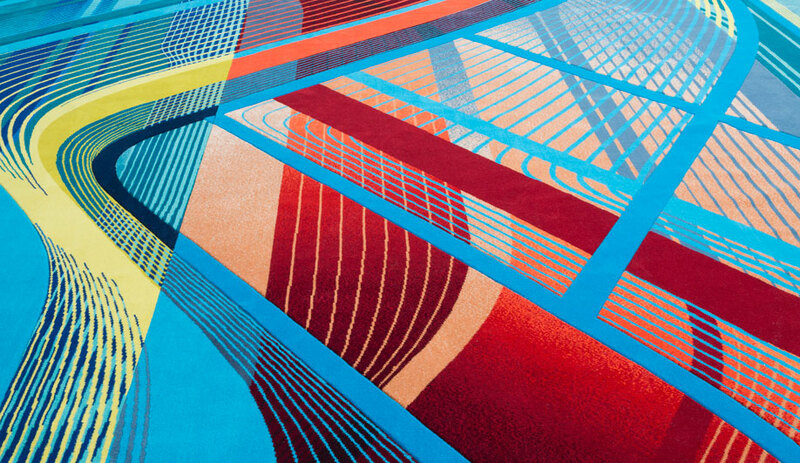 It’s intended specifically for the hospitality market, with vibrant patterns created by embellishing and overlaying Moose’s floral patterns in graffiti-inspired layers. 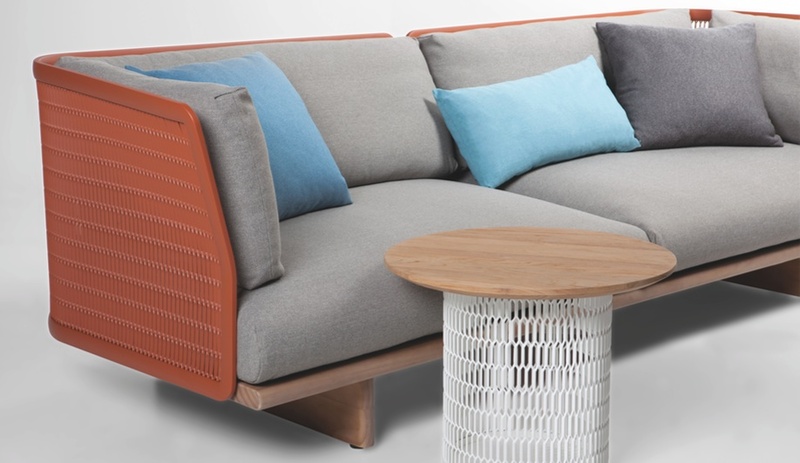 Though made from expanded metal mesh (as the name implies), Patricia Urquiola’s sofa for Kettal references rattan, a more traditional material for outdoor furniture. 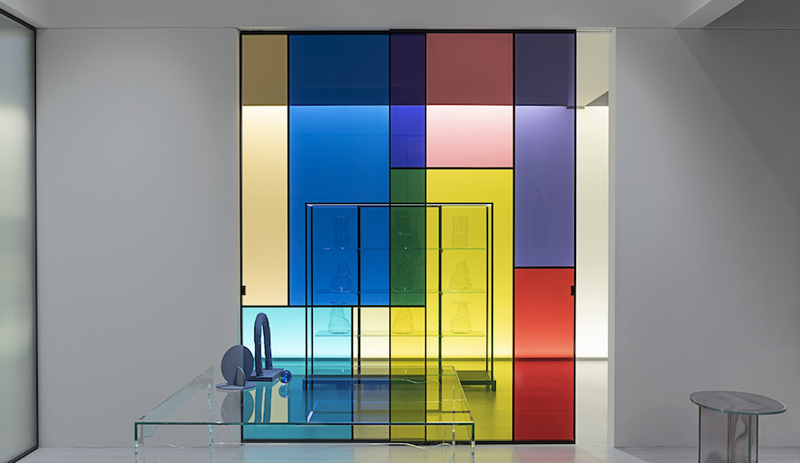 The narrow slits make the collection lighter both physically and visually, as light is able to filter through. 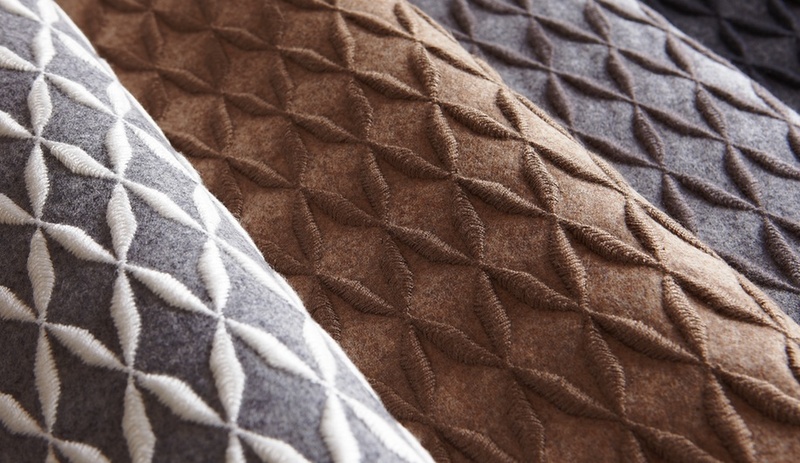 Cache has an almost three-dimensional tactile quality, an effect created by criss-crossing soft wool felt with heavy embroidery. The wallcovering is offered in a handful of neutral colours, with matching or contrasting stripes. 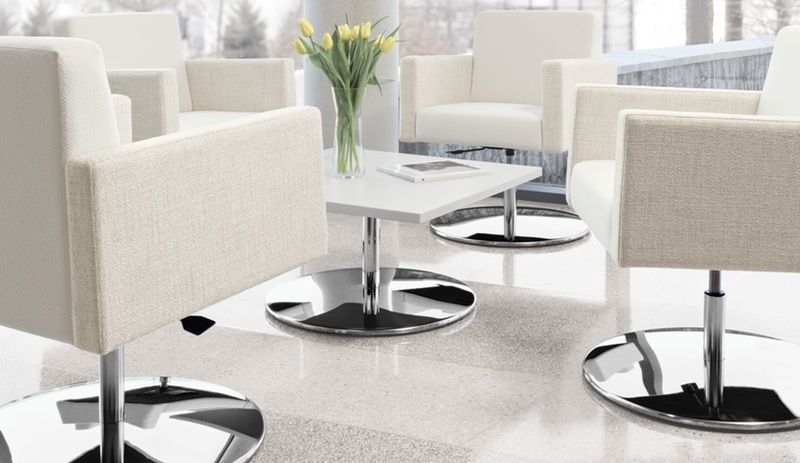 The tailored box seating and corresponding tables of the Jeo collection can be used in a wide range of contemporary contract environments, including waiting rooms and lounges. 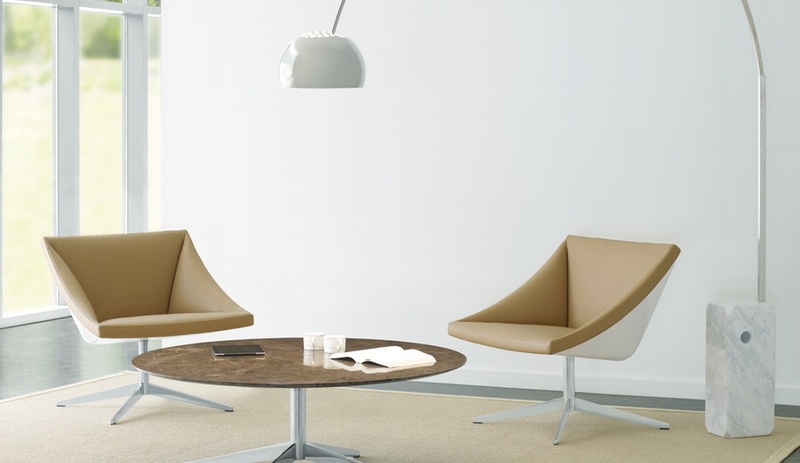 The tables can be grouped and the seating height adjusted, making the collection suitable for areas where casual meetings occur. 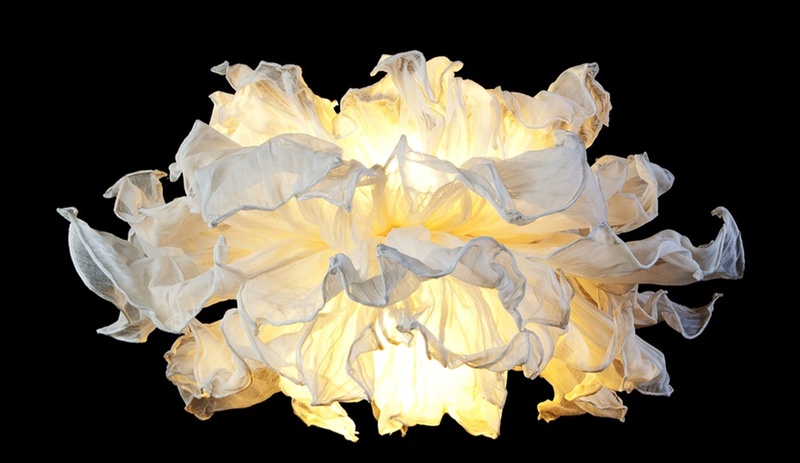 Danny Fang’s flamboyant pendant lamp for Kenneth Cobonpue is made from organic cotton fibre stretched on a sculptural metal armature; it’s available in a 75-centimetre-wide version, as well as the larger 100-centimetre version seen here. Following a successful launch in Milan, Segis brings Dragonfly stateside for its North American premiere. 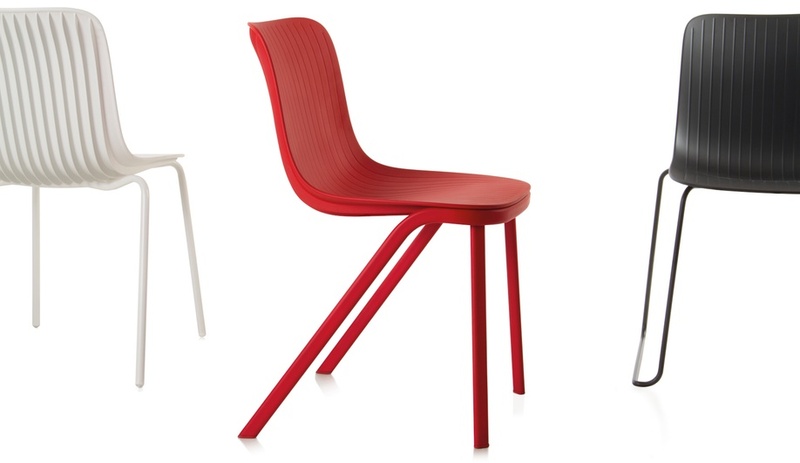 The occasional chair gets its name from the cantilevered seat pan, made from injection-moulded polypropylene ribbed for added strength, which mimics the look of a dragonfly’s abdomen extending backwards from its thorax. These drum-like pieces by Borja and Jordi Veciana are versatile enough to function as both seating and low tables, with handles and concealed wheels that allow for easy repositioning. 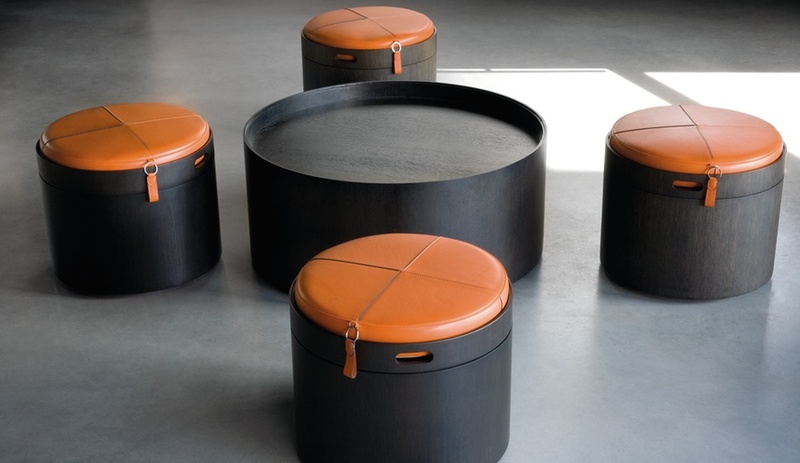 Both large and small versions are available with removable cushions upholstered in one of four shades of leather. For hotels with outdoor pools, Oborain’s Circle Shower is a simple and elegant way to provide guests with a discreet pre-swim rinse. 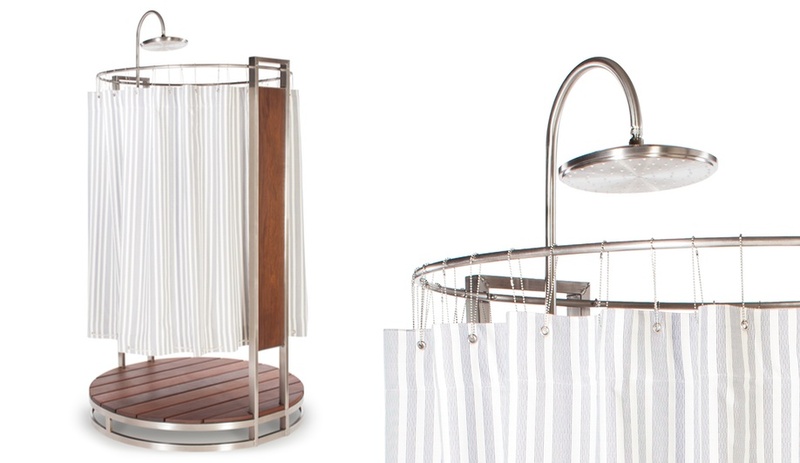 Stainless steel tubing is paired with durable Brazilian or Central American ipê wood, and can be customized with multiple shower head options from The Outdoor Shower Co, Hansgrohe, Axor, and others. The Faz chairs and matching dining table are the latest addition to a collection that launched in 2010 and now includes blocky loungers, planters and benches. 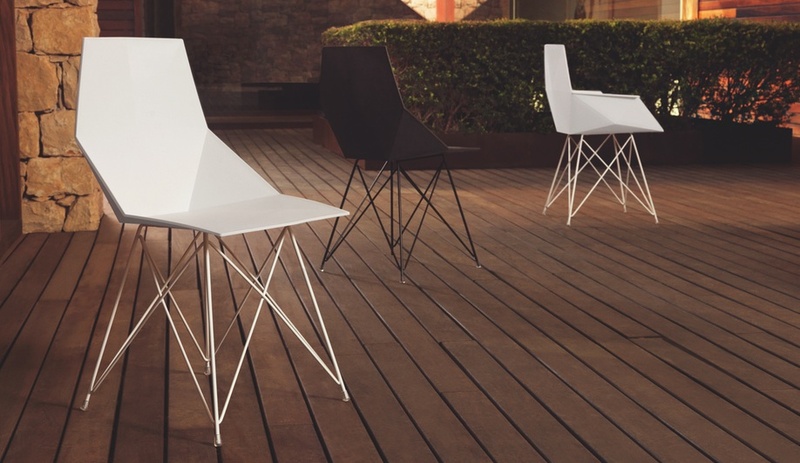 The faceted seat pans, perched atop lacquered metal struts, are made from injected polypropylene, suitable for indoor or outdoor use.